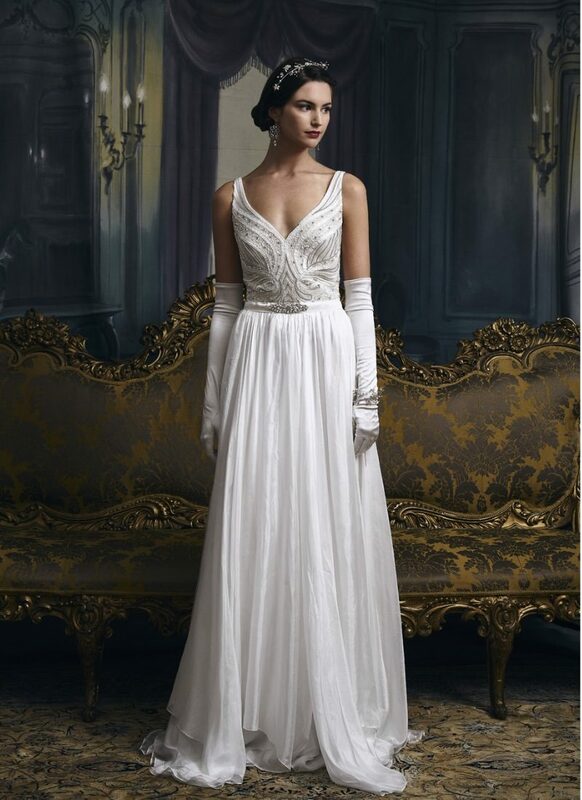 Grace features a beautifully beaded bodice with a deep V neckline. The waist is enhanced by a narrow belt, and the fluid silk skirt is as light as a feather. 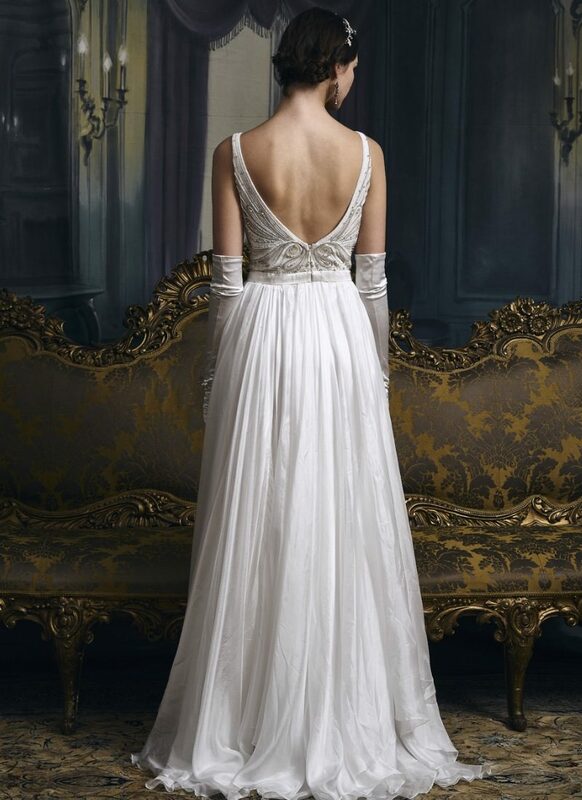 An amazing wedding dress to wear.